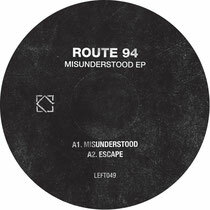 After scoring a UK number 1 single with ‘My Love’ earlier this year, Route 94 makes his debut appearance for Matt Tolfrey’s Leftroom with ‘Misunderstood’. Despite the commercial success of ‘My Love’, Route 94’s ‘Misunderstood’ is very much contemporary underground house and sees 21-year-old Rowan Jones imbue the genre with the same addictive hooks he made his name with. Already a firm favourite with Annie Mac and Skream, this is a weighty EP from the young Londoner. The title track of ‘Misunderstood’ centres around a staccato, insistent keyboard lick straight out of ‘80s electronic funk while rattling drums, raucous sub bass and piano stabs combine in an arrangement designed to maximise each part perfectly. 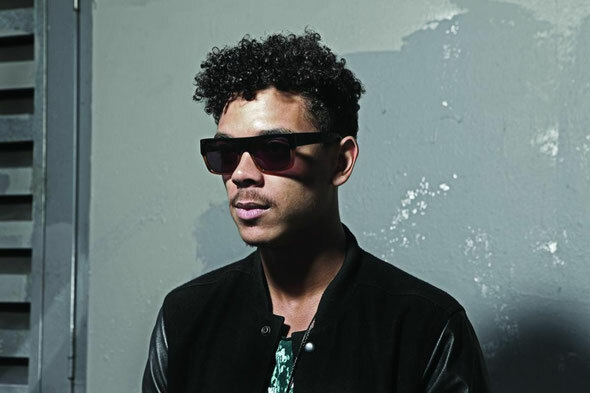 ‘Escape’ sees Jones employ loose drums with dense percussive elements and the sort of bumping, rolling bass that Derrick Carter does so well while penultimate track ‘Cowboy’ moves with a satisfying skip, growling bass and a moodier tone. Closing the EP out, the skeletal ‘Elevate’ and its eponymous vocal refrain is strikingly hefty for such a stripped back cut, creating a track that works alone as well as holding it’s ground as a nifty mixing tool.